Modern PCs it is impossible to imagine a stand-alone device. Local networks have become commonplace not only in organizations but also among groups of private users. However, due to the availability of information, there is a tendency among a large number of users to independently carry out the initial configuration and diagnosis of network equipment. 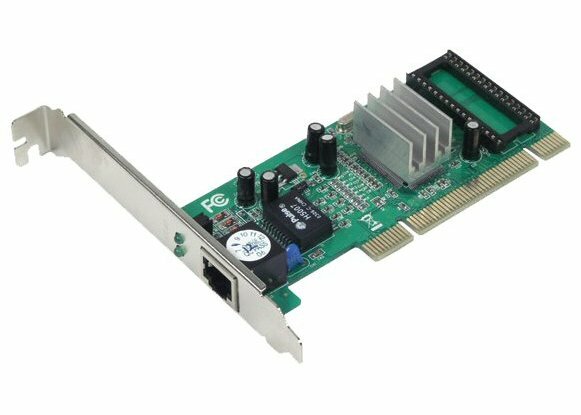 The network adapter is a printed circuit Board that is inserted into the slot on the motherboard. It can also be integrated into the motherboard or connected to the computer via the USB connector. There are other options, but these are the most common. To distinguish this adapter typical connector intended for connection of the connector of the network cable. Increasingly, there are adapters for network connections using fibre optic or Wi-Fi technology. The latter is characterized by the presence of the radio antenna. The purpose of any kind of network adapter is the physical connection between a computer and the transmission media, as well as preparation and transfer of data from one device to another. Before installing the network adapter, note the brand, you will need it during the configuration process. For physical connectivity required to access the motherboard. With this purpose, you need to remove the cover from the system unit. Next, locate on the motherboard a connector for a network card. Often it is necessary to remove a metal plate from the rear panel of the system unit to output the external interface adapter. Install in the module slot, make sure the connector cable is available, and screw the screw fee for secure attachment. Then reattach the cover on the system unit. Connect the network cable. Turn your PC on. After system boot, a message that found a new device. To work correctly you will need to install a driver that matches the system and make the network adapter. It is better to download from official website manufacturer. After that, restart the system. The network connection icon should appear on the taskbar. Click the right mouse button and select "control Center network and sharing". Here are all the settings of the network connection. In particular, click on "Change adapter settings", this opens all the available network connections. To change the properties, click on the icon of any of them right mouse button and in context menu select "Properties". Here you can see the status of each connection: "Enabled" or "Disabled". Included, but not working for some reason, the connection will be red-crossed. To enable or disable connection (software control adapter) is also possible via the context menu.